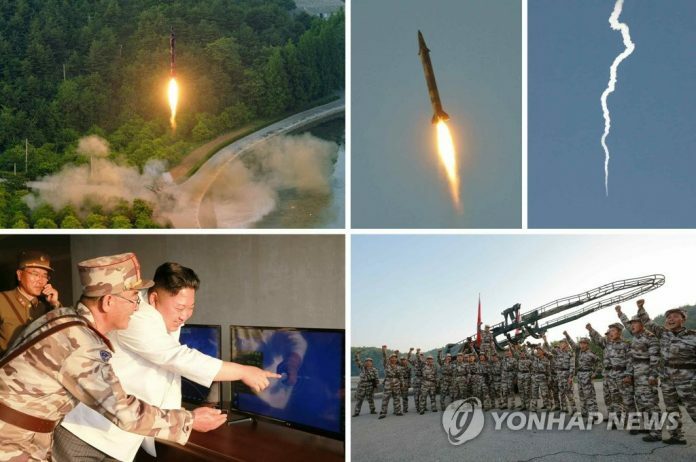 Home Aerospace Missiles How Capable are North Korean Scud-Based ‘Carrier-Killers’? How Capable are North Korean Scud-Based ‘Carrier-Killers’? North Korea asserted Tuesday that it has developed a means to strike moving targets at sea with precision. 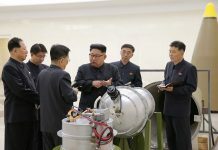 The capability was validated during a recent missile test conducted yesterday (Monday) when Pyongyang tested an upgraded Hwasong-7 (Scud-ER) type missile equipped with trajectory correction and Maneuvering Reentry Vehicle (MaRV), transforming the ballistic missile into ‘precision-guided’ one. The rocket, fired from the country’s east coast early Monday morning, traveled around 450 kilometers to splash into the East Sea, according to the South Korean military. The North said it has halved the range for the test. 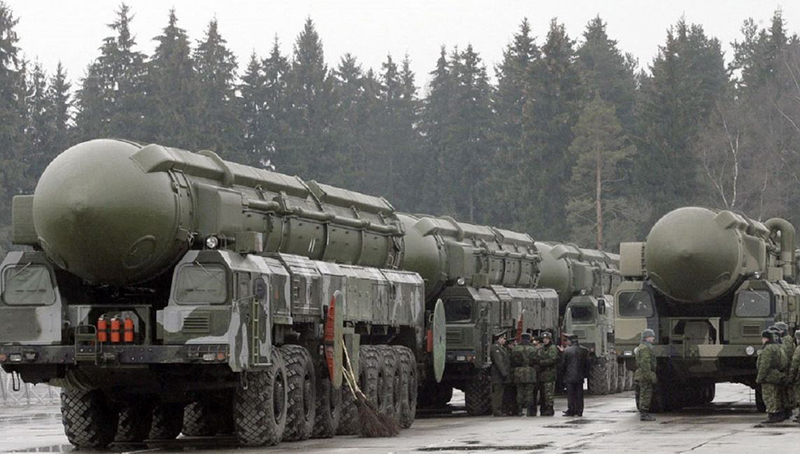 It means the missile’s actual range is similar to a Scud-ER (extended range) at about 1,000 km. 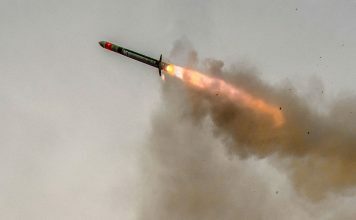 According to official sources, the upgraded missile is capable striking targets at sea or on land, including warships. North Korea is pursuing such capability for a long time, in an effort to negate the US capability to strike from the sea. 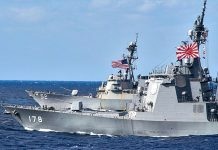 However, missile experts are doubtful whether the upgraded Scud-ER will be able to target a ship-size target at sea. It could, however, be accurate enough to target naval and air bases with reasonable precision. On the recent test, the missile flew to a range of 450 kilometers (280 miles). The event planned to test the missile and the specially designed tracked launcher. The official announcement goes into unprecedented details saying the missile hit the target seven meters from the ‘bullseye’. While such lucky strike could be a coincidence, consistent accuracy like this cannot be taken for granted and is not achievable with current guidance controls. The North’s Nodong mid-range missiles are known to have an accuracy of 2,000 – 3,000 meters when flown over 1,000 km. 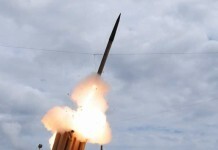 A Scud missile would hit 450 to 1,000 meters from its target, after flying 300 km. China’s DF-21D Anti-Ship Ballistic Missile (ASBM) reportedly has a CEP of 30-40 meters. Another improvement claimed by Pyongyang was the reduction in the pre-launch process, achieved by implementing automated processes. The Hwasong uses liquid propulsion that requires a lengthy pre-launch fueling process. 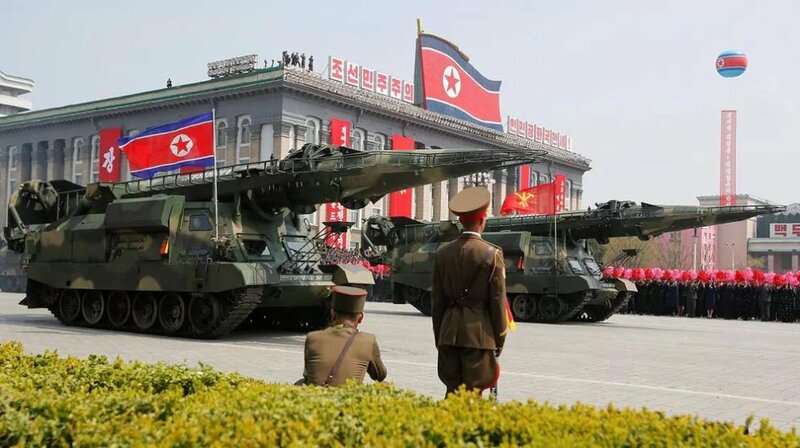 The enhanced variant of the North Korean Hwasong 7 (Scud-ER) missile was unveiled during the military parade in Pyongyang, 15 April 2017. The missile is carried on a tracked launcher, designed to move and operate on rough terrain. 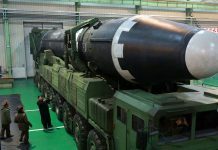 The upgraded Scud-ER missile was unveiled on April 15, 2017, mounted on a new tracked transporter-erector-launcher (TEL) at the military parade in Pyongyang. It showed distinct changes from the standard Hwasong-7, with control fins added in the fore section, adding stability and refining the flight trajectory during the boost stage. According to Korean sources, the missile uses some propulsion augmentation in the mid-phase to maintain speed control and stabilization. It also added guidance measures in the terminal phase, to achieving ‘ultra-precision guidance’. 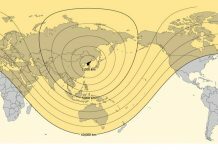 Regardless of the issue of accuracy, North Korea does not currently have the means to find and localize such targets over the horizon, lacking satellite and aerial surveillance means that would deliver the coordinates and motion vector of a ship in real time for the targeting of such missiles.